School telephone bills halve, thanks to Armstrong Bell! 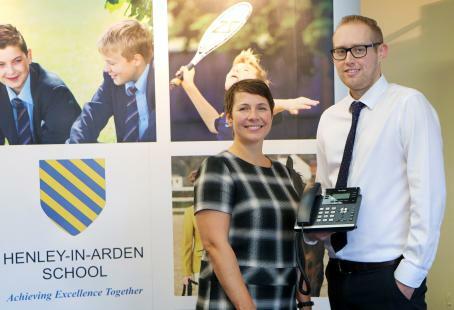 A Warwickshire school which prides itself on striving for excellence has halved its monthly telephone bills, thanks to Armstrong Bell. It's important for us to work with a local company because we were keen to have better support, particularly with engineers coming onto the site. With school budgets under scrutiny and accountability crucial, any capital spending has to provide excellent value for money. 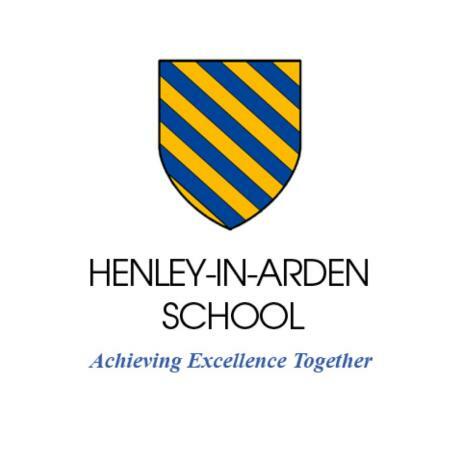 When Henley-in-Arden School realised its telephone system needed to be replaced - at potentially huge cost - it decided to research other options. The school was unhappy with the old Panasonic analogue system and telephone server that had been installed more than ten years ago; it lacked functionality and even the most basic of changes required an engineer visit, which was increasingly costly. It was also not receiving the type of support it needed from its existing provider. Ed Cooper, network manager at the school that has 600 students aged 11-16, said it was apparent that the entire system needed to be overhauled to cope with future demands. The Armstrong Bell team, which is based in Bromsgrove, impressed the school with its expertise and its ideas that would enable it to use a superior, flexible communications system that would also be more cost-effective. It recommended a cloud-based business VOIP system and the award-winning Yealink feature-rich handsets. A total of 42 handsets were installed, which comprised a mixture of T19 models for classrooms and T41, with built-in address book, in the offices and other areas of the school where telephones are used frequently. The T46 handset, which offers maximum functionality, was installed in the reception. Armstrong Bell was also able to introduce a number of advanced routing options and the possibility to enable staff to take home a handset and connect it to their home network. And because the new SIP-based system uses the school’s existing network, new handsets can be plugged in anywhere in the school. Thanks to the Armstrong Bell system, the in-house school IT team can add ports when they need them and make basic changes via the online portal. This compares with the previous supplier, which charged for every change, such as handset location or even name change on a handset. Since the system was installed, our monthly payments have virtually halved. For a school, where budgets are tight, this is very good news and we believe the system should pay for itself in under five years. Ed said they all quickly noticed the difference in the telephone system - not least the monthly bill. Ed said the support and professionalism of the Armstrong Bell team also impressed the school, providing excellent technical training and inviting Ed to the company’s headquarters to learn about the system beforehand. The bulk of the work was undertaken during term time, with engineers doing late shifts to set up phones alongside its existing system before the switchover, completing the cabling quickly and neatly, and staying on site to train front-of-house staff. Armstrong Bell also responded to a last-minute request to install an additional 20 data points. William Copley, managing director of Armstrong Bell, said: “We pride ourselves on our excellent customer service and the fact that we tailor a system to an organisation’s needs, rather than imposing facilities that it might not need. This, coupled with the fact that we are locally based, is a crucial consideration. Our clients know that we will respond quickly to requests and are always on hand if we need to send an engineer to a site. For further information call Armstrong Bell on 01527 911391 or email info@armstrongbell.co.uk.